Looking to surprise somebody with an amazing holiday this Christmas or planning to be more active in 2015? Why not book the trip of a lifetime with CaminoWays.com, the walking and cycling holiday specialists. The Camino de Santiago is walked and cycled by thousands of people every year and is the ideal trip for those looking for a truly spectacular and exciting holiday in 2015. 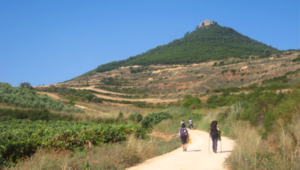 There are a number of great Camino routes to choose from, however, to help make your choice a little easier, we have selected five Camino de Santiago routes not to be missed in 2015. The French Way or Camino Francés is the most popular Camino route and has featured in books, documentaries and films. This route covers over 800km from St Jean Pied de Port to Santiago de Compostela, however, if you don’t have a whole month to spare, you can chose to walk the last 100km. The final section starts in Sarria and winds its way through charming villages and pretty countryside until it finally reaches beautiful Santiago de Compostela. Price from €492pps for a 6-night walking trip from Sarria to Santiago on the last section of the French Way. To learn more about the French Way. This route begins in Portugal and makes its way from Porto, along the shoreline of Northern Portugal and through Southern Galicia. While on this path, walkers will encounter charming coastal villages and be able to indulge in delicious seafood and tasty white wine. This route might not be as a traditional as the inland Portuguese Way, but, its stunning natural beauty makes it a unique experience. Price from €662pps for a 7-night walking holiday on the Portuguese Coastal Way. To learn more about the Portuguese Coastal Way. This is another fantastic coastal Camino de Santiago route that stretches over 800km. The Camino del Norte route is divided into five sections across lush Northern Spain and through the Basque Country, Cantabria, Asturias and Galicia. On this path, pilgrims will encounter enchanting towns and cities, beautiful beaches and mouth-watering gastronomy. 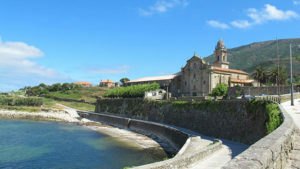 Price from €536pps for a 6-night walking holiday on the Camino del Norte from Bilbao to Santander. To learn more about the Camino del Norte. This path starts in the impressive Le Puy en Velay, home to volcanic landscapes and a striking cathedral. Le Puy Way is one of the more traditional Camino de Santiago routes in France and passes some of the country’s loveliest towns and areas of inspiring natural beauty. 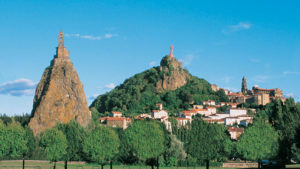 Price from €446pps for a 5-night walking holiday starting in Le Puy en Velay. To learn more about the Le Puy Way. The Via Francigena, or Camino from Canterbury to Rome, is a path of medieval origin that has become increasingly popular in recent years. Crossing Europe from North to South, the Via Francigena is made up of superb landscapes, incredible cultural spots and fantastic places to sample Italian cuisine. The sections of this path crossing Tuscany are particularly beautiful and are where walkers get to experience the real heart of Italy. Price from €516pps for a 6-night walking holiday on the last section of the Via Francigena, from Viterbo to Rome. To learn more about the Via Francigena. Whether you want to walk two days, a week or a whole month, CaminoWays.com can tailor-make an itinerary to suit you. Contact the CaminoWays.com travel specialists for more information and advice on the right Camino de Santiago or Via Francigena route for you. Price includes: Accommodation on half-board basis, luggage transfers from hotel to hotel and holiday pack with practical information for your trip. Price does not include: Flights, transport or insurance. Optional: ask the team about hotel upgrades in cities and towns, airport transfer and bike rental. Remember, you can avail of the CaminoWays.com 10% OFF Early Bird if you book by 31st December 2014. Hi Marie, thank you for your comment. The 10% discount is only applicable to self-guided holidays; 7% for guided tours. I hope this helps. Kind regards. See der is a 10per sent discount now. wen I booked got 7 per cent?